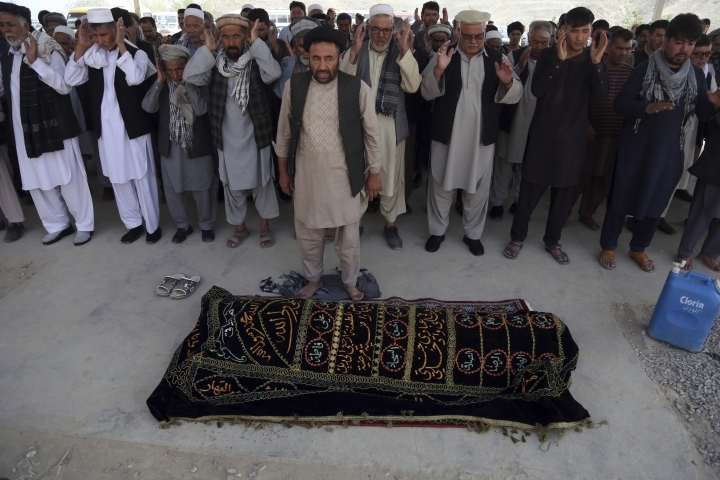 KABUL, Afghanistan — As Afghanistan's Shiites mourned their dead and held funeral services Thursday, the Islamic State group claimed responsibility for the horrific suicide bombing in Kabul that targeted a Shiite neighborhood the previous day, killing 34 students. 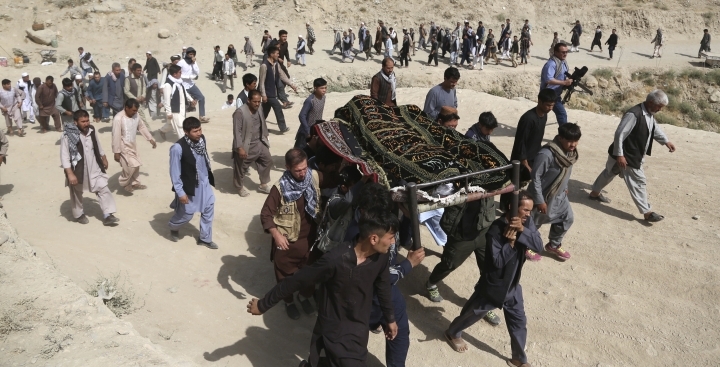 Grieving families gathered to bury their dead but even amid the somber atmosphere there was no respite from violence, underscoring the near-daily, persistent threats in the war-battered country. 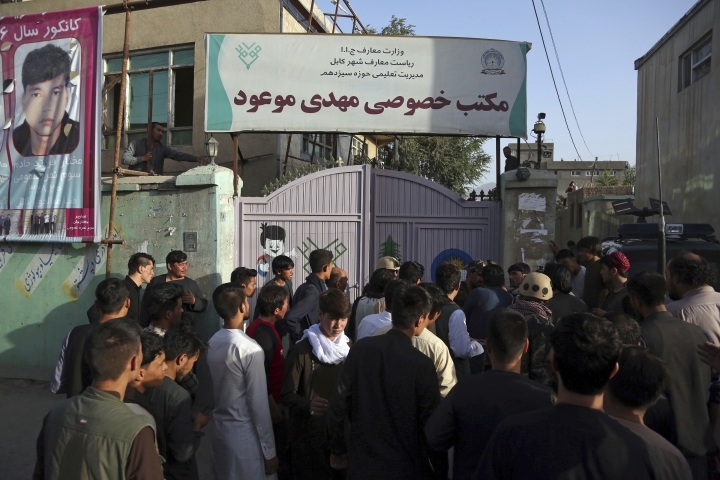 Two gunmen besieged a compound belonging to the Afghan intelligence service in a northwestern Kabul neighborhood early Thursday, opening fire as Afghan security forces moved in to cut them off. The standoff lasted for nearly six hours before police killed the gunmen and secured the area. The Islamic State group, in a posting on its Aamaq News Agency, claimed more than 200 people were killed or wounded in Wednesday's suicide bombing. The bomber, who had walked into a classroom in a one-room building at a Shiite educational center in the neighborhood of Dasht-e-Barchi, where he set off his explosives, was identified as "the martyrdom-seeking brother Abdul Raouf al-Khorasani." Afghanistan's IS affiliate is known as The Islamic State in Khorasan Province, after an ancient name of the area that encompassed parts of present-day Iran, Afghanistan and Central Asia. Most of the victims were young men and women, high school graduates preparing for university entrance exams in the Shiite area's educational center. IS, which considers Shiites to be heretics, frequently targets them, attacking their mosques, schools and cultural centers. 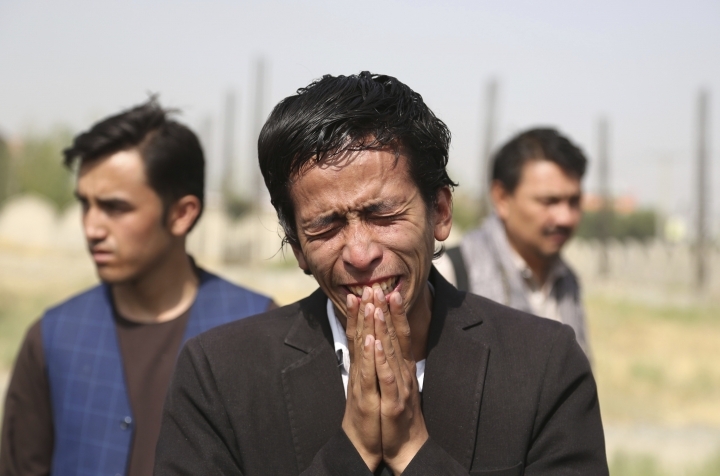 In the past two years, there have been at least 13 attacks on the Shiite community in Kabul alone. 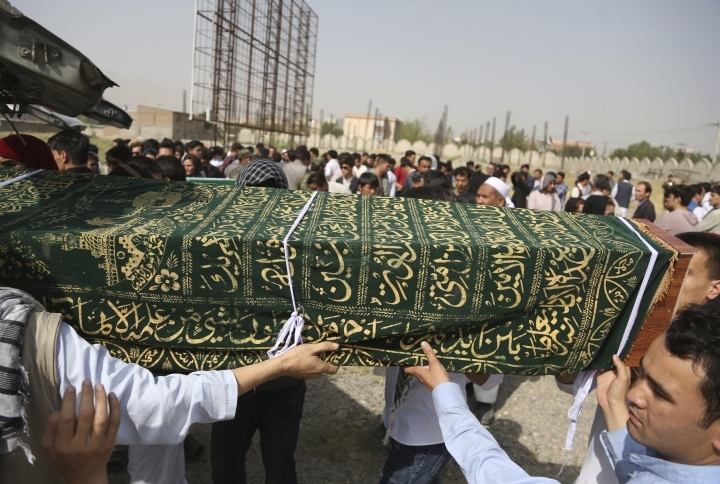 Fifteen of the victims' bodies were taken Thursday to a Hazara community compound in Kabul where a mass funeral service was being held. 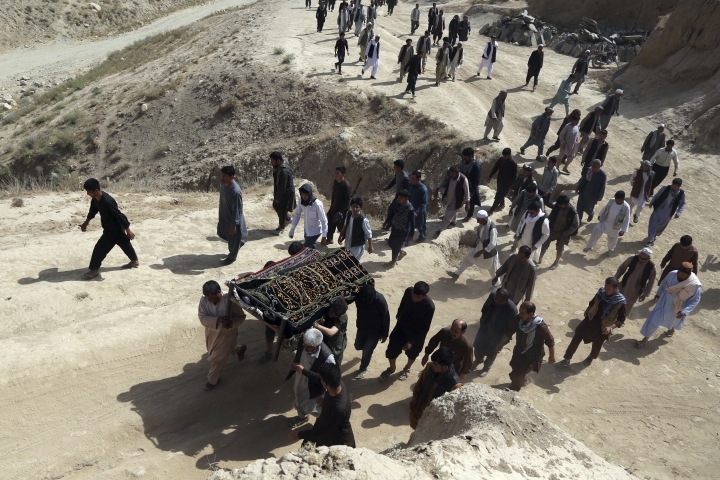 The remaining victims were taken to their villages to be buried there, said Gulam Hassan, the cousin of one of the victims. The attack, which came at the end of more than a week of assaults that have left scores of Afghan troops and civilians dead, shows how militants are still able to stage large-scale attacks — even in the capital of Kabul — and undermine efforts by Afghan forces to provide security and stability on their own. While the country is battered by insurgent attacks, the two main groups, the Taliban and IS, are deadly opposed to each other and have waged bitter battles in different parts of the country. The Taliban is a nationalist Islamist group unlike the IS, whose ideology calls for a caliphate that binds Muslims worldwide. In Ghazni city, provincial police chief Farid Mashal said Thursday that roads were being cleared of mines planted by Taliban who held on to entire neighborhoods of the city that they besieged in a surprise overnight assault last Friday. 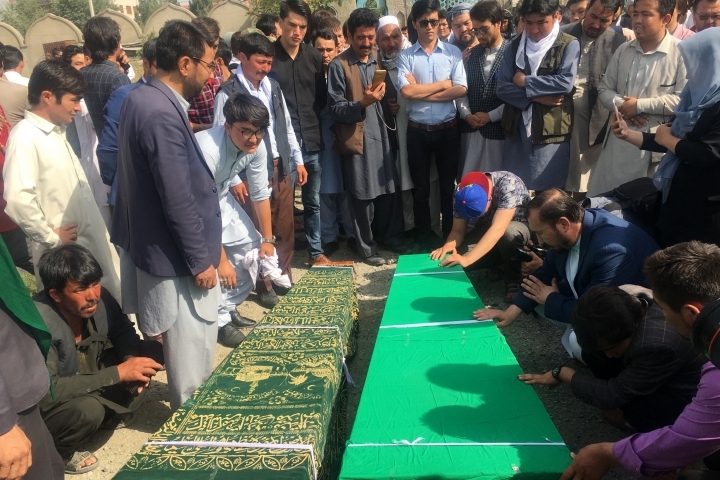 The standoff continued for five days with more than 100 members of the Afghan National Security forces killed and 20 civilians. 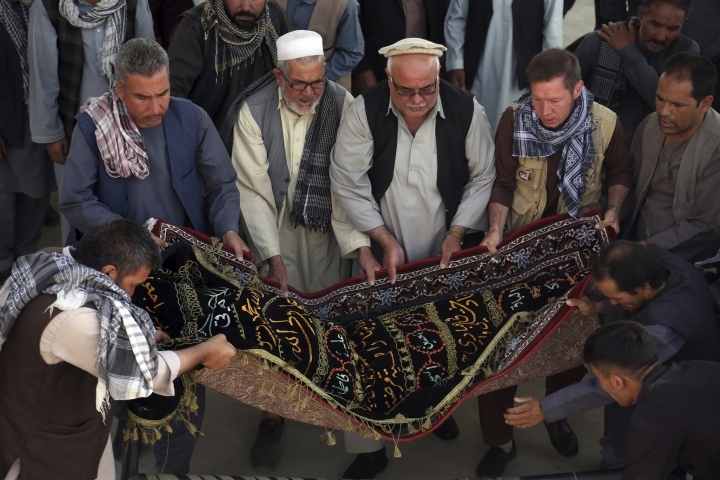 Scores of Taliban were also killed, according to Afghan officials. 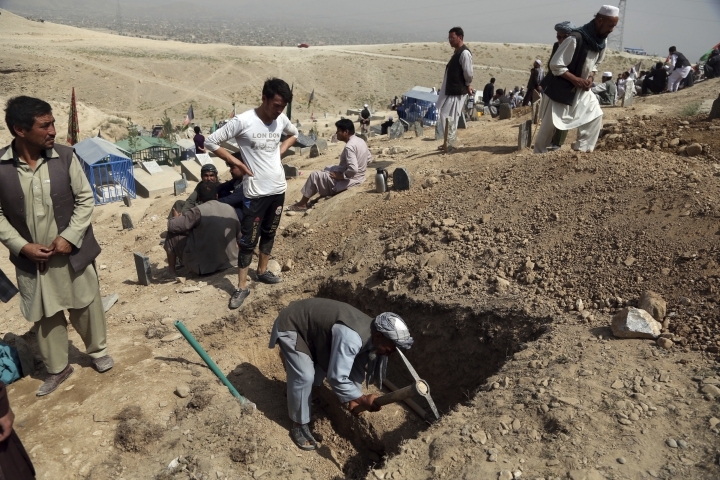 Mashal said 10 bodies of Taliban fighters discovered beneath a destroyed market were handed over Thursday to the International Red Cross. The Taliban have long controlled or held sway in most of Ghazni province, of which Ghazni city is the capital. Government control is largely limited to the city, district centers and a handful of small districts are dominated by ethnic Hazaras. 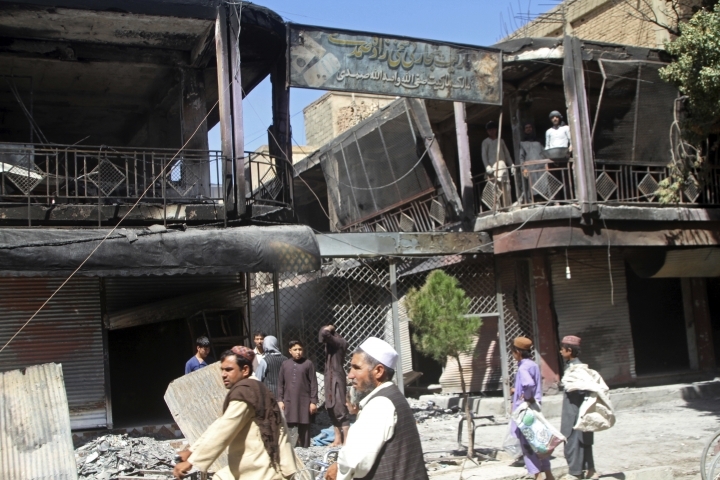 Amnesty International on Thursday denounced the Kabul attack on the Shiites, calling it a war crime. 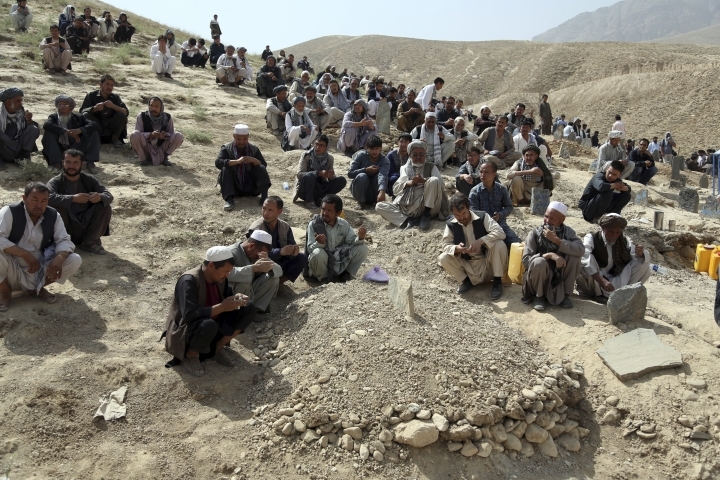 "The deliberate targeting of civilians and the targeting of places of education is a war crime," said Samira Hamidi, Amnesty's South Asia campaigner. "Mounting civilian casualties show beyond any doubt that Afghanistan and, in particular, its capital, Kabul, are not safe." 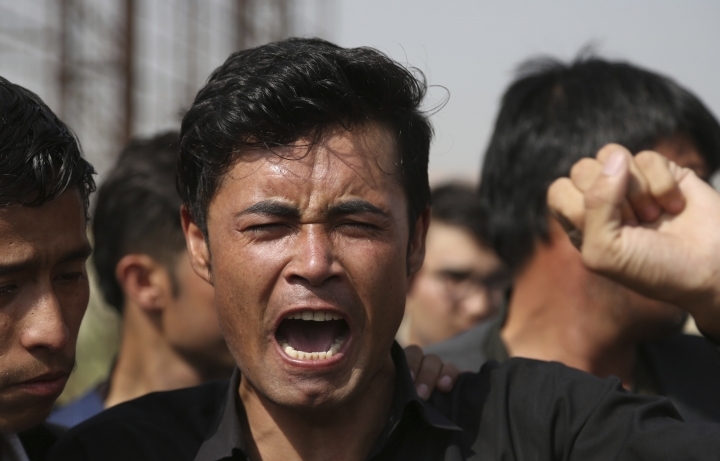 Afghan President Ashraf Ghani has also condemned the "terrorist" attack on the Shiites that "martyred and wounded the innocent" — students attending class — and ordered an investigation to determine how the bomber had managed to sneak into the compound, which has its own guards. Survivors on Thursday struggled to come to terms with the bombing. In a Kabul hospital, Anifa Ahmadi sat by the bedside of her 17-year-old daughter Sima, who was wounded in the attack. Sima was in the front row of the classroom in the single-room building where the explosion occurred. "I had told her and told her, 'Don't go to school. We are under attack everywhere. No place is safe for us.' But she said 'No, no, no'," the mother said. Sima appeared undeterred despite injuries to her legs and arms and said she would go back to school. "I won't let anyone stop me, I will resist all terrorist attacks to have the future I want," she said. "We were both crying," the doctor said. Elsewhere in Afghanistan, four policemen were killed and four were seriously wounded late Wednesday when they tried to defuse a car bomb they found in southern Kandahar province, according to Zia Durrani, provincial police spokesman. Kandahar was the religious heartland of the Taliban during their five-year rule that ended with the 2001 invasion by U.S. and NATO forces following the 9/11 attacks in the United States.